Not even the Avengers can save THQ from going under. "Comic books" have been pretty popping in the last few years. Every new TV show or major movie franchise of late seems to have some basis in a long-standing comic book franchise, from Marvel building their massive Movieverse to DC's decade-long plan for films and TV shows. But what about video games? Aside from the Batman games and some (admittedly solid) LEGO titles, comic-verse fans have had little more than mobile games to sink their teeth into. Long ago, in the murky past of 2011, now-defunct publisher THQ had a vision. 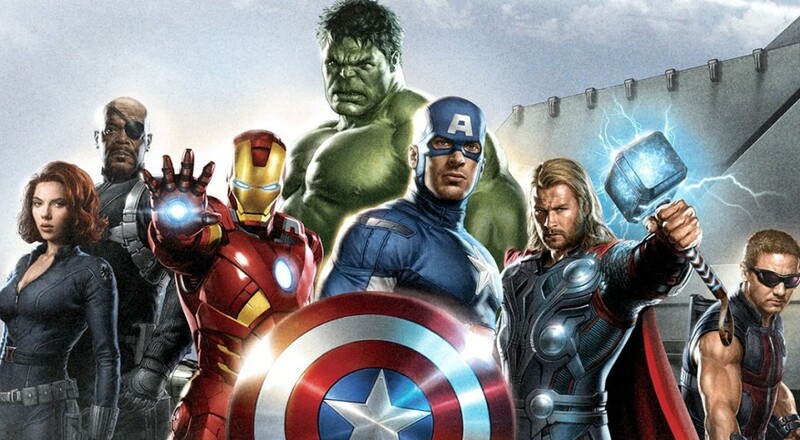 They would bring one of the hottest commodities in play at the time, Marvel's Avengers, to the home market with a big-budget, Triple A, first person game for a release alongside the 2012 film. A four player co-op experience for the PS3, the Xbox 360, and the PC (and later a Wii U version), the game was a brand new story from esteemed comic author Brian Michael Bendis centering around the main Avengers players: Captain America, Iron Man, Thor, and the Hulk (Hawkeye and Black Widow were to be unlockables). The game was co-op focused in design, with all four heroes running around battlefields at once blowing up Skrulls. Tony Stark could fly and use beam weapons, Cap could hurl his shield and block bullets, Thor could call down lightning, and Hulk could smash stuff (as Hulk was wont to do). You and your teammates would set up combos and finish off the bigger baddies, or maybe help a buddy break out of an enemy grappling attack. Unseen64 did a video on this very promising product. All credits go to them for putting this together. The problem was not one of quality. Allegedly, development cruised along and the game was fun. The problem was just how deep in the hole THQ was. The once mighty publisher threw all their chips into the uDraw gambit, which turned out to be a colossal black hole that devoured money. The troubled publisher looked to others who might buy the Avengers game still in development, but alas. The risk was too great, even for Marvel to want to front. Back when console gaming lay in its infancy, publishers had a hard time leashing potential consumers to new IPs. After all, who wants to play as unknown character "Purple Guy" pacing down the street and punching trash cans to find oddly cooked chickens? Thus began the time-honored tradition of scooping up media rights and slapping a title on there. Suddenly "Purple Guy" became Bruce Willis, and Trash Can Punchers morphed into a Die Hard game. Sure, it bore no resemblance to the film it was based on aside from a grotesque parody of John McClane, and you were still trudging to the right and punching trash cans, but hey! Die Hard is pretty rad, and the games sold. Now a days, it's a lot easier to focus on a licensed, Free to Play mobile game than it is to crank out the effort and money for a big budget title. After all, good games sell on their own in this scary modern world without slapping Bruce Willis' (or, Tony Stark's) face on it. With this Avengers game designed solely with last gen in mind, I doubt this interesting piece of history will ever see the light of a console release.